Best Discount Price on Navajo Designed Bridle, Reins & Breast Collar Set - SAVE! 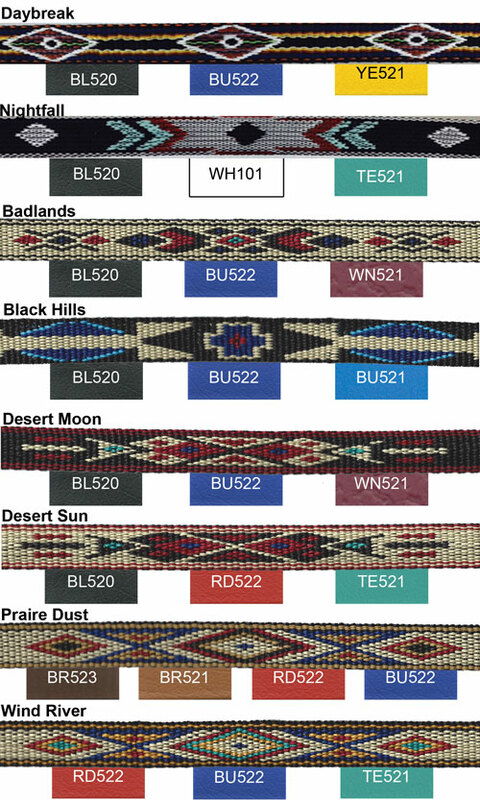 Choose your favorite color for the Beta Underlay-Main color of your tack, and the Beautiful Navajo nylon Overlay. As always your choice of Solid Brass or Stainless Steel Hardware. If custom sizes are required call e-mail or fax us your order, today! Click on the image below to see our favorite color suggestions! PLEASE NOTE- SET is defined as the BRIDLE, REINS & BREAST COLLAR ONLY! Any Additional Items needed may be ordered separately.